Pisa is strategically located in the central part of Italy, at only 12 km from the Ligurian Sea, 20 km from the harbour of Livorno and the ferries heading to the Elba Island, Sardinia and Corsica, and 80 km from Florence. This city is closely associated with the Leaning Tower, but it also preserves, along with the whole complex of Piazza dei Miracoli - UNESCO World Heritage Site - and its medieval centre, numerous masterpieces of architecture and medieval history. 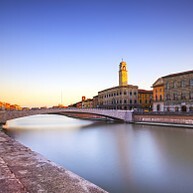 The area around Pisa is also excellent for farm holidays, trekking, beaches and water sports on the Versilian coast. Opening hours: Shops in Pisa are usually open between 9:00-12:30 and 15:30-19:30 (closed on Sundays). 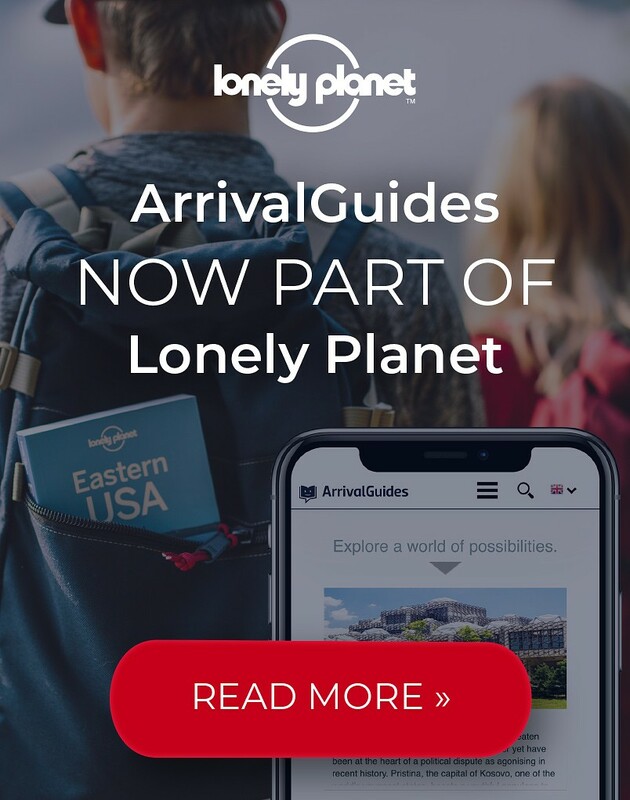 Tourist information: Tourism Office "Walking in the City"
The boat service in Pisa will let you enjoy the architectural scenery of the Lungarni, or the natural beauty of the nearby San Rossore Natural Park, in which several important racecourses and dressage competitions take place. Pisa celebrates traditional events such as the fascinating “Luminara” (a candlelight festival), the historical "Regata" (a boat race on the River Arno) and the “Gioco del Ponte” (an ancient contest on the Ponte di Mezzo). The three of them take place every year in June. An alternative could be a festival of international sacred music called “Anima Mundi”, taking place between September and October in the Cathedral and Monumental Cemetery. 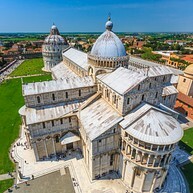 Pisa Baptistery (Battistero di San Giovanni) shares grounds with Pisa Duomo (where the Leaning Tower is located). It took more than two centuries to complete. This amazing marble Baptistery is the largest one in the whole of Italy, and dates back to the 12th century. Pay your visit in the early morning to experience the amazing acoustics. The Cathedral is an incredible work of art with more than a thousands years of history, and its design influenced many other buildings in the whole country. 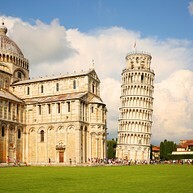 One of the most outstanding architectural structures of medieval Europe (partly due to human error during construction), the Leaning Tower is today the most famous landmark of Pisa. It is the bell tower of the Cathedral whose construction began in 1173, and continued for over two centuries. This miscalculated eight-story building is over 55 metres high and leans at an angle of 5 degrees. Without any doubts, this popular tourist attraction is a "must" when visiting the city. Don’t forget the camera, since this is a perfect place to take some amusing photos. 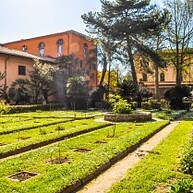 The Botanical Garden and Museum (Orto e Museo Botanico) was established in 1544 as the first university botanical garden in Europe, by the famous botanist Luca Ghini. 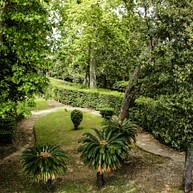 The garden is divided into sections containing the botanical school, gardens, ponds, greenhouses and various buildings. Major collections include herb gardens and arboreta, as well as the old botany institute of late 16th century, with a façade ornamented with sea-shells. 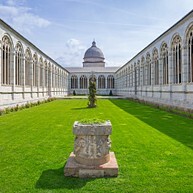 The Italian word "Camposanto" (Holy Yard) - which is a synonym of "cemetery" - was first used with reference to this Pisan building. According to the legend, it contained soil which was seen as miraculous due to its origins in the Holy Land. You will find this peaceful place with amazing frescoes, mosaics and statues on the same site as the Leaning Tower, the UNESCO World Heritage site Piazza del Duomo di Pisa. The Museum of Cathedral Works (Museo dell’Opera del Duomo) opened in 1986 to showcase the art and sculptures of Pisa. Today, its collection includes works which previously adorned the buildings in the Piazza dei Miracoli. After the big three (the Leaning Tower, the Cathedral and the Baptistery), this is the fourth major landmark to fit into your time schedule. You will find this interesting museum behind the Leaning Tower. The Royal Palace was built, as commanded by the House of Medici, in the late 16th century, and became the National Museum in 1989. 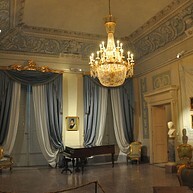 Today, it hosts numerous works of art belonging to the courts of the city government, such as the Medici, Lorena and Savoia, as well as some private collections. The building still keeps the appearance of an aristocratic residence, with fittings and furniture from the 17th to 19th centuries. The beautiful Knights' Square was the political centre of the Pisan Republic. During the 16th century, it was radically transformed by Giorgio Vasari and became the seat of the new military order of the Knights of St. Stephen. The square is dominated by the Palazzo della Carovana, whose façade is completely covered in graffiti and that, today, hosts the Scuola Normale Superiore, founded by Napoleon in 1810. Lungarnos are quays that run along a river; Pisa's ones, with their beautiful palaces and romantic bridges over them, have been the heart and soul of the city for centuries. Today, it is possible to walk along them to admire river Arno and its surroundings and, especially if the weather is good, to stop and eat an ice cream or get a drink in one of the several cafes along them. Not far from the city centre lies this basilica, which is said to have been built upon the place where St. Peter landed on his way from the Aegean Sea to Rome. If you walk in, you can admire medieval paintings and beautiful frescoes - both on the left and the right side of the church - dating to between 1200 to 1300, and around the location, where a small village has arisen, one can go for a walk and look for some local restaurants. 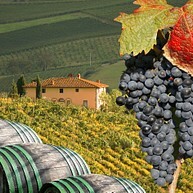 Take a tour along the roads of wine in the stunning area of Chianti, one of the most famous districts in Tuscany. You decide which vineyards to visit and make your stops wherever you like. It is also possible take a break from wine and local food tastings to visit the museums that you will find along the road, such as the one dedicated to the iconic Vespa. Either you feel like going by car or bike, the road is easy to follow since it is well marked by signs. Housed in a beautiful blue building dating back to the 14th century, this exquisite art museum contains masterpieces from the 14th century until today. There is also a pleasant small cafeteria in the backyard. Just outside Piazza Duomo lies one of the oldest Jewish cemeteries in Europe. The cemetery presents an extraordinary historical artistic repertoire: from the parallelepiped burial mounds of Hebrew tradition dating from the 17th to 18th centuries to the Liberty styles dating back to the 19th and 20th centuries. Housed in a 13th century (former) Benedictine monastery, the National Museum of San Matteo contains works from the main religious buildings of the city. Remarkable are the collections of 14th and 15th centuries: the Pisan sculpture and a collection of paintings consisting of nearly 200 works from the Tuscan school. The picture gallery keeps paintings by Italian and foreign artists dating back as far as the 18th century, ecclesiastical vestments and liturgical gold-works. During the hot summer months, this park is a popular place to relax in the shades of the trees. Students, locals and tourists come here for a picnic, a stroll, to let their children play at the playground and even to discover some ancient sights. 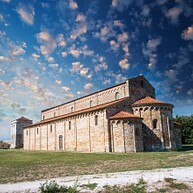 In 1998, during the works carried out in the area around Pisa San Rossore Station, the remains of the ancient port of Pisa were brought to light. At a depth of circa 5 meters, an impressive series of 18 ship wrecks placed one on top of the other emerged, all dating back to the Roman Period, and now showcased at the Museum of Ancient Ships of Pisa (Cantiere delle Navi Antiche di Pisa). 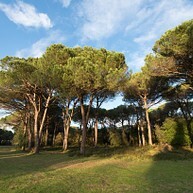 The Regional Park covers over 23,000 hectares situated along the coast from Viareggio to Livorno. At the Visitor Centre of Cascine Vecchie, tourists can find booklets and brochures about San Rossore Park and Estate, a gorgeous natural area where they can enjoy guided visits on foot, by bike, by coach and by train.